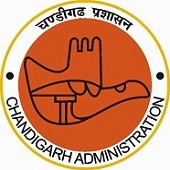 Online Application Details for Chandigarh Chandigarh Administration Recruitment of 4 Veterinary Inspectors is given below. Application form and duly attested documents are to be sent to Office of the Joint Director, Animal Husbandry, Sector 22 behind Kiran Cinema, Chandigarh Administration. In envelope super scribed with 'Application for the Post of Post Name'.